Paris is one of those cities one can never visit too many times. The City of Light is more than just romantic. It’s magical. It comes alive at night and has a distinct personality, a je ne sais quoi that makes it one of the most beloved travel destinations in the world. Paris is a global epicenter of fashion, art, and food. It’s at once modern and historic. It has so many cultural gems to offer as well as simple pleasures like the perfect pain au chocolat. Many cruisers choose to extend their travels by spending time in Paris before or after a cruise. That’s easily done when embarking or disembarking in Nice. To help you make the most of your time in Paris, we’ve created two 36-hour itineraries – one for first-timers, and one for seasoned travelers. If it’s your first time in Paris, chances are you want to see the main sights: the Eiffel Tower, the Arc de Triomphe, the Louvre, and Notre Dame Cathedral. Paris is a small city ideal for exploring on foot. Walking is often the fastest and most scenic way to get from Point A to Point B. It’s also considered an art – a flâneur in French means a stroller, someone who idly saunters. Embrace the idea of flânerie while in Paris and take your time exploring the city. Begin your first day in Paris at the Louvre, the city’s most famous and iconic museum. (Well, begin your day with a delicious croissant and un café – then go to the museum.) How long you spend here will depend on your interests. Some visitors simply come for the Mona Lisa, while others can spend hours browsing the exhibits including Napoleon III’s apartments and the foundations of King Phillip Augustus’ “Old Louvre” fortress from the 12th-century. Pro tip: To save time buy your tickets in advance online and avoid the museum’s popular and busy Pyramid entrance (pictured above). Instead, head to the Galerie du Carrousel or Porte des Lions entrances. Consider downloading a free audio guide tour from iTunes in advance. This will help you stay on track and avoid becoming overwhelmed. After your morning at the Louvre find a café or patisserie for lunch. Rue du Rivoli, which runs parallel to the museum, has many to choose from. Enjoy a croque-monsieur and some macarons while you ruminate on your morning at the museum. Following lunch, walk through the stunning formal gardens of the Jardin des Tuileries to Place de la Concorde. While it’s now a public square with a beautiful fountain and large Egyptian obelisk, during the French Revolution it was home to a guillotine, responsible for the deaths of King Louis XVI and Marie Antionette, among others. Place de la Concorde also marks the beginning of one of the most famous streets in the world: Avenue Champs-Elysées – perfect for an afternoon stroll. This romantic, tree-lined, Haussmann-designed boulevard is a fantastic place to go window-shopping and sightseeing. Look for the Grand Palais and Petit Palais. These beautiful buildings were erected in 1900 for the Universal Exposition and now house museums. Stop at Pont Alexandre III, widely regarded as the most ornate bridge in the city. The gorgeous Art Nouveau lamps and sculptures of cherubs, nymphs, and winged horses make it worth visiting. With a view of the Eiffel Tower to boot, this is one of the most photogenic spots in Paris. Eventually, the avenue will lead you to the famed Arc de Triomphe. Climbing the 284 steps of the Arc de Triomphe will give you a spectacular skyline view of Paris, including the skyscrapers of La Défense and the Eiffel Tower. Pro tip: There are underground tunnels that lead from Champs- Elysées to the Arc de Triomphe. Spare your nerves and use these rather than attempting to cross the roundabout that surrounds the monument. In the evening, visit the Eiffel Tower. It is less crowded at night and the views are spectacular. You’ll find Paris’s most famous landmark in the city’s posh 7th arrondissement. On your way there, walk down Rue Cler. This pedestrian street is home to a fantastic open-air market where you can pick up supplies for a picnic supper. An assortment of meats and cheeses, a fresh baguette, and a bottle of champagne are all you need. The beautiful Champ de Mars grounds surround the Eiffel Tower, and picnicking here is a quintessential Paris experience. In the height of summer, as many as 32,000 people per day visit the Eiffel Tower, so book tickets in advance. If you plan to go to the top of the tower, expect to spend around two hours. While the top of the tower is an amazing experience, Paris is a fairly flat city, so many say the best views are from the first and second levels. Be sure to take the time to explore these levels as well. A view of Paris at night from the Eiffel Tower. Begin your second morning in Paris’s 4th arrondissement. Find a quaint patisserie for breakfast, and then make your way to your first stop: Cathédrale Notre Dame de Paris on Île de la Cité. Notre Dame is one of the most stunning cathedrals in the world. It’s a masterpiece of French Gothic architecture that features spectacular windows, carvings, statues, gargoyles and bell towers. Climb the 387-step spiral staircase to the top of the tower and you’ll be rewarded with one of the most breathtaking views in all of Paris. Soak in the sights of the Seine below and the Eiffel Tower in the distance before heading back down. Outside the front of the church, look for a small brass dial engraved on the ground. It’s Point Zero, from which all distances in France are measured. Legend has it if you jump on the dial you’ll be destined to return to Paris one day. Around the back of the church, you’ll find Square Jean XXIII, the best place to appreciate the cathedral’s stunning exterior. Spend the rest of your day exploring all that Paris’s Left Bank has to offer. The area is rich with literary history. Directly across the street from Notre-Dame is one of the world’s best bookstores – Shakespeare and Company, which opened in 1964 in tribute to Sylvia Beach’s original store, frequented by writers from the Lost Generation. From there, stroll down the left bank of the Seine, stopping to peruse the secondhand books and antiques on offer from the bouquinistes. Enjoy a leisurely lunch at a sidewalk café or bistro in the St-Germain-des- Prés neighborhood – Hemingway and Joyce were fans of Les Deux Magots and Café de Flore, both of which are still open to this day. Order a glass (or bottle!) of rose and the plat du jour. After lunch, explore the charming streets of this vibrant neighborhood, popping into art galleries and boutiques. Foodies should make their way to La Grande Épicerie de Paris. This culinary mecca is on the ground floor of Le Bon Marché, Paris’s oldest department store. It’s the perfect place to purchase some souvenirs to bring a taste of Paris back home. After you’ve picked out some tasty treats, make your way to L'église Saint-Sulpice on Rue Palatine. You might recognize this Baroque church from its appearance in the movie The Da Vinci Code. The church is nearly as big as Notre Dame, making it the second largest in Paris. Saint Sulpice is also famous for its impressive pipe organ. The gorgeous Jardin du Luxembourg is only a short walk away from the church and is a must-see spot in Paris. This 23-hectare garden oasis is popular for its perfect lawns (which are meant to be admired, not lounged upon), beds of flowers, and Grand Bassin pond where children play with 1920s-style wooden sailboats. As evening approaches, make your way back towards the Seine to Ile Saint Louis. Often overlooked in favor of Île de la Cité, this smaller island feels like a quaint French village within the city. Treat yourself to an ice cream or sorbet from the renowned shop Berthillon to enjoy while you explore. Paris is wonderful the first time. But visiting again, and again allows you to truly embrace la belle vie. There’s no need to hurry from one landmark to the next. There’s no need to spend time waiting in long queues. There’s only you, and Paris, and the opportunity to experience it as a local. Spend your first day in Paris embracing la vie boheme by exploring the city’s fascinating Latin Quarter. This neighborhood in the 5th and 6th arrondissements is famous for its bohemian flair and connection to student life. La Sorbonne, France’s oldest university, was founded here in 1257 and defines the neighborhood. Begin your day by exploring two wonderful markets: Marché Monge and Marché Mouffetard. Find a café for breakfast and purchase provisions for a picnic lunch. You’ll find the market on Rue Monge to be a bit pricier, while the market on Rue Mouffetard will be a bit more touristy. Ernest Hemingway described Rue Mouffetard as a “wonderful, narrow crowded market street” in his novel A Moveable Feast. It’s only fitting that you should enjoy your own feast at the market! Pro tip: Both markets are open from 9:00 a.m. to 11:00 a.m. and from 1:00 p.m. to 4:00 p.m. Go early to give yourself enough time to browse the stalls and select your lunch. Note, the markets are closed on Sunday afternoons and Mondays. Once you have your picnic supplies, head to Jardin du Luxembourg. It’s the perfect place for a picnic in the Latin Quarter and you cannot visit it too many times. After lunch, explore the rest of the Latin Quarter. Take a self-guided walking tour of the neighborhood but don’t be afraid to wander off course and explore side streets. That’s how you’ll find hidden gems like quirky boutiques, bookshops, and bistros. From Jardin du Luxembourg it is a short walk to the Panthéon, a secular mausoleum that serves as the burial place of famous French writers, philosophers, and thinkers such as Voltaire, Jean-Jacques Rousseau, Jean Perrin, Pierre and Marie Curie, and Alexandre Dumas. Two minutes from the Panthéon, you’ll find the beautiful Église St-Etienne du Mont. This gothic is stunning inside and out and is absolutely worth visiting. Some may recognize the steps on the church’s northwestern corner from the film Midnight in Paris. A quick jaunt down Rue Clovis will lead you to a small section of the Wall of Phillip Augustus, the oldest city wall in Paris. The 5th arrondissement was the heart of the city during Roman occupation from the first century A.D. to the fifth century B.C. Take your time exploring the streets surrounding The Sorbonne and imagine walking in the footsteps of the great intellectuals who’ve attended the prestigious school, like Simone de Beauvoir, Victor Hugo, and Jacqueline Kennedy Onassis. When you arrive at Place de la Sorbonne you’ll have a great view of the campus’s main building. Make your way down the bustling Boulevard Saint-Michel to Place Saint-Michel near the Seine. This public square on the border of the 5th and 6th arrondissements serves as the symbolic entryway to Quartier Latin. It is also the site of Fontaine Saint-Michel, a massive fountain that depicts Archangel Michael triumphing over a demon. It was built between 1858 and 1860 during the French Second Empire. Spend your evening on the banks of the Seine, just a twenty-minute walk from Place Saint-Michel. After eating dinner in the area, make your way to Jardin Tino-Rossi. This open-air sculpture museum turns into an outdoor dance hall during summer months. The music and dance styles vary, and classes are often held. Begin your second day in Paris’s 1st arrondissement, at Palais Royal. This impressive palace was a royal residence in the 1600s. Its beautiful gardens and striking 260 columns make it worth a visit. From there, find Galerie Vivienne, one of Paris’s famous covered passages. These early forms of shopping centers were built during the first half of the 19th century. By the 1850s, Paris was home to approximately 150 covered passages. In 1853 Emperor Napolean III commissioned Georges-Eugène Haussmann to renovate the city. Crowded medieval neighborhoods were demolished and the wide, tree-lined avenues, parks, and squares we now associate with Parisian streetscapes were built. Most of the city’s covered passages were removed during Haussmann’s famous renovation, with about a dozen remaining on the Right Bank. With colorful mosaic floors and stunning glass ceilings, Galerie Vivienne is incredibly photogenic, and one of the most iconic covered passages in the city. Browse the bookshops, wine and gourmet food boutiques, jewelry and clothing stores. Stroll along Rue Rambuteau towards the Marais District. This main avenue is lined with restaurants and cafes, so find a place to enjoy an outdoor lunch. Spend the rest of your afternoon exploring the vibrant Marais neighborhood. The Marais was once a hub of Jewish life and is still home to Paris’s Jewish Quarter. Today it’s also a thriving LGBTQ neighborhood. In the 4th arrondissement, you have several museums to choose among: Musée Picasso, the Maison Européenne de la Photographie, and the Musée Carnavalet. The Picasso Museum is dedicated to the work of Pablo Picasso. Maison Européenne de la Photographie (or MEP) celebrates contemporary photographic art. And, Musée Carnavalet is dedicated to the history of Paris. Musée Carnavalet is housed in two neighboring mansions. The section in Hôtel Carnavalet has been open to the public since 1880. The former Hôtel Le Peletier de Saint Fargeau was annexed and opened in 1989. The museum boasts 2,600 paintings, 20,000 drawings, 300,000 engravings and 150,000 photographs, 2,000 modern sculptures and 800 pieces of furniture – as well as thousands of ceramics, coins, and other historic items. Visiting will give you a keen sense of how the city of Paris has evolved over centuries. After spending your first day exploring Paris’s oldest bohemian neighborhood in the Latin Quarter, spend your final evening surrounded by modern bohemia. Canal Saint-Martin is home to the Parisian hipster or “bobo”crowd and has a youthful and vibrant energy. Walk along the canal on Quai de Valmy, stopping to explore Jardin Villemin, detour onto side streets, and linger on iron footbridges while watching barges navigate the canal’s series of locks. The area boasts its fair share of art galleries and studios and is well-known for embracing street art. Canal Saint-Martin is home to trendy restaurants and bars, making it the perfect place to soak up Parisian nightlife. 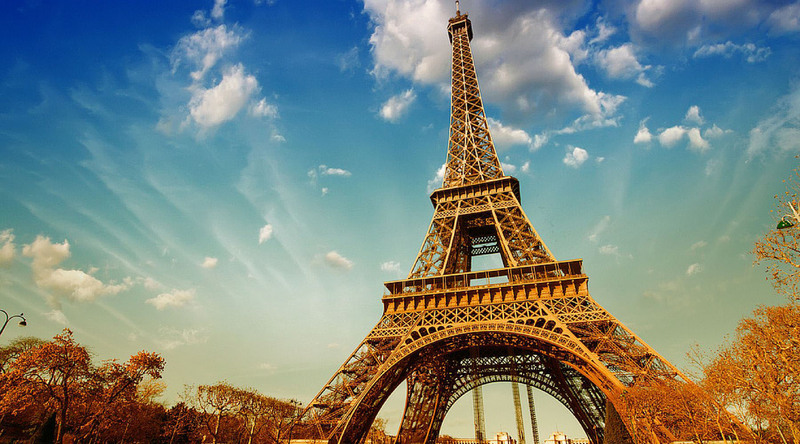 Now that you have two great itineraries for Paris, all that’s left is to book your trip! We recommend these itineraries, which either embark or debark from Nice.